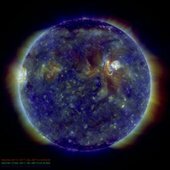 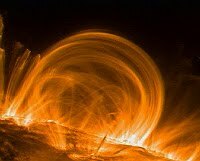 This post is a summary of our work to classify energy propagation into the solar atmosphere resulting from different modes of solar global oscillations. We have performed two series of simulations delivering the same quantity of energy into the solar atmosphere with the extended driver across the lower boundary of the model. We present below distance-time plots, plots of the energy flux and the variation of the energy flux for the different modes. 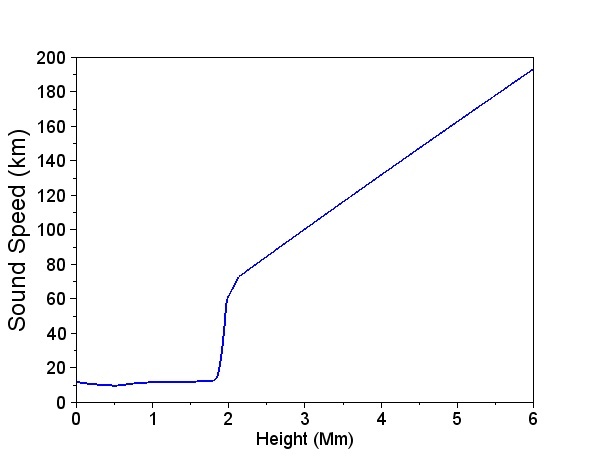 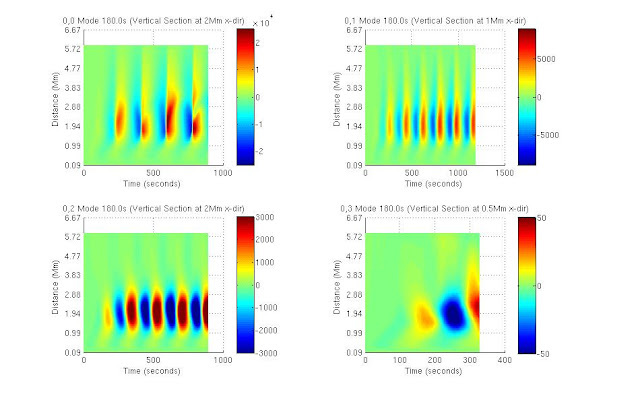 The plots below compare the distance time plots for the vertical component of the plasma velocity with the (0,0),(0,1),(0,2) and (0,3) modes. 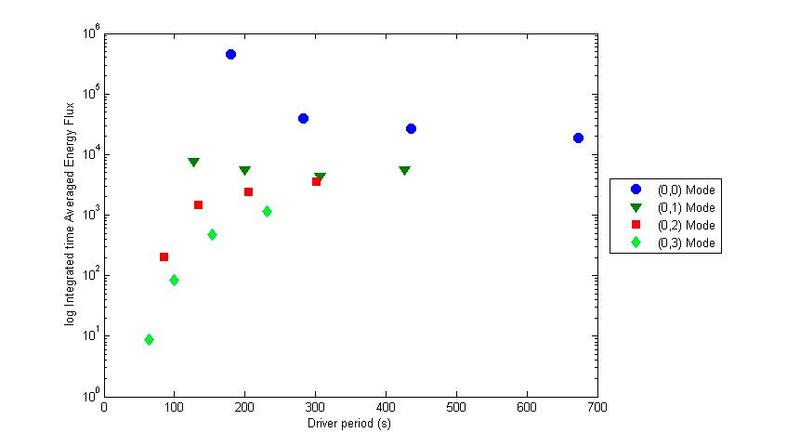 Distance Time plot for 180s Driver the d-t plot has been taken through a horizontal section through the model in the Chromosphere at 1.06Mm. 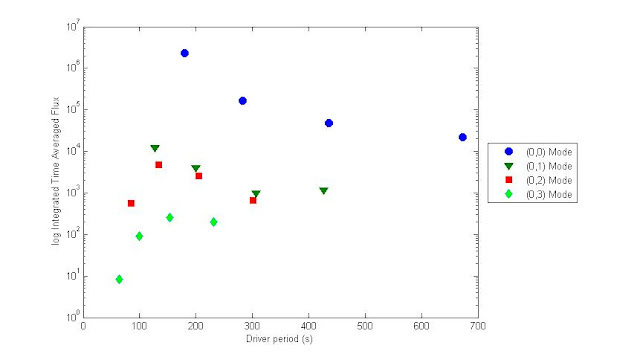 Distance Time plot for 180s Driver the d-t plot has been taken through a horizontal section through the model in the Transition Layer at 2Mm. Distance Time plot for 180s Driver the d-t plot has been taken through a horizontal section through the model in the Solar Corona at 4.3Mm. Distance Time plot for 300s Driver the d-t plot has been taken through a horizontal section through the model in the Chromosphere at 1.06Mm. Distance Time plot for 300s Driver the d-t plot has been taken through a horizontal section through the model in the Transition Layer at 2Mm. 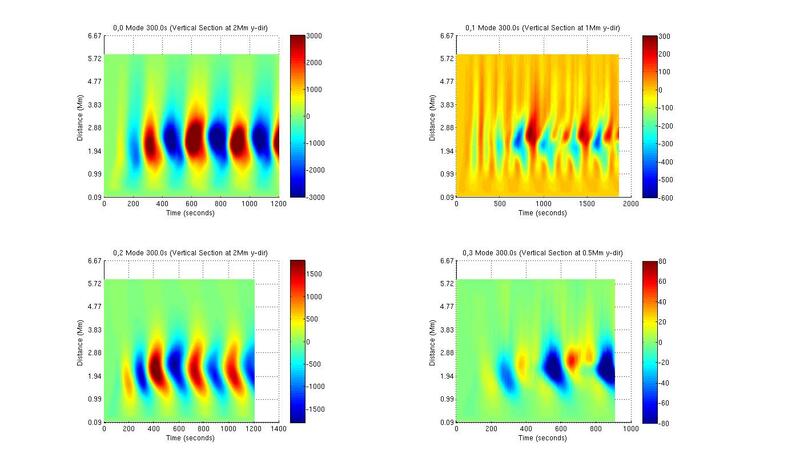 Distance Time plot for 300s Driver the d-t plot has been taken through a horizontal section through the model in the Solar Corona at 4.3Mm. 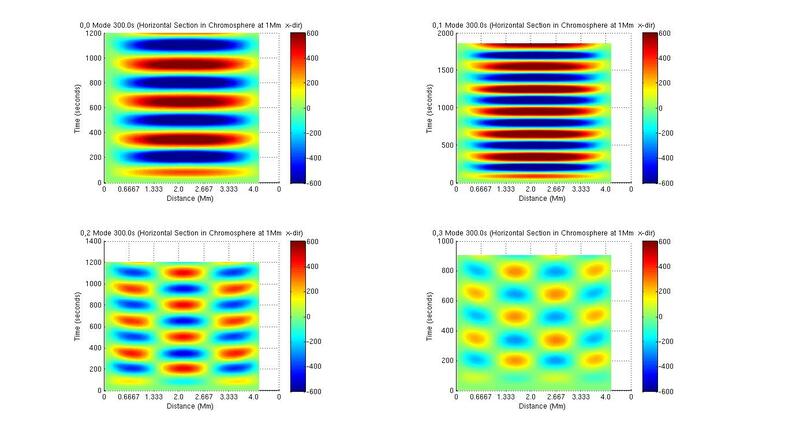 The plots below show the integrated energy across a section of the computational model for different heights through the solar atmosphere the variation with time is shown. 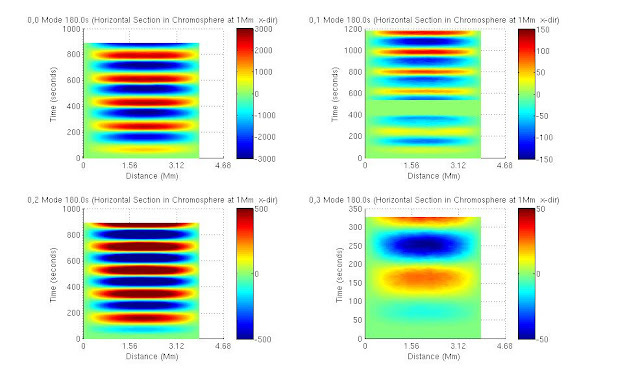 The plots below compare the integrated time averaged flux for the solar atmosphere and the transition layer. 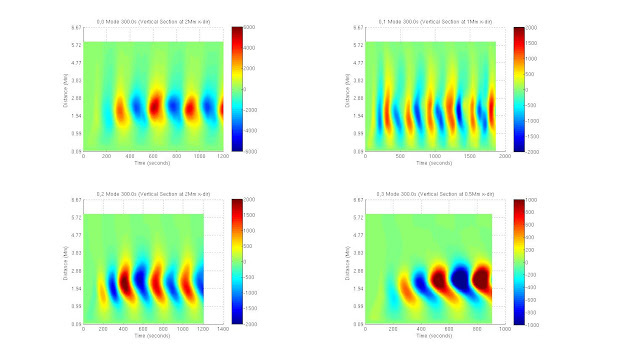 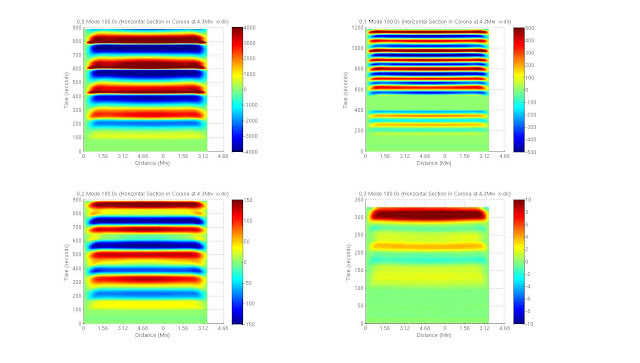 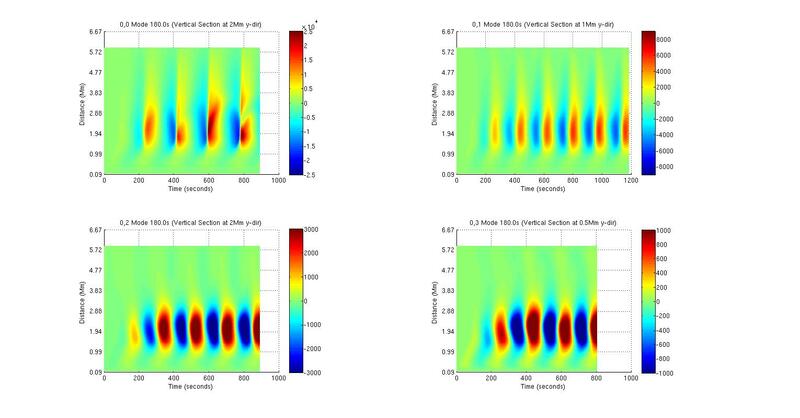 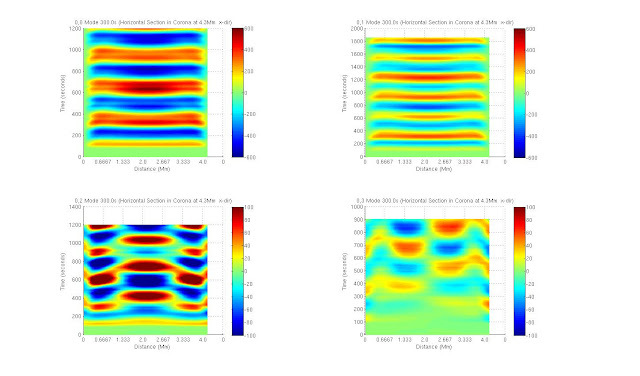 For each mode the plots illustrate the variation of the integrated flux with the driver period.